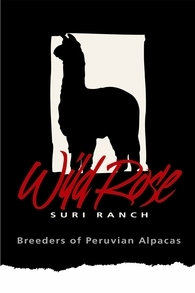 Why Board Your Alpacas purchased from the Wild Rose Suri Ranch? Allows for investment benefits without the burden of daily care and maintenance. Spend as little or as much time as you like with your animals. Alpacas are herd animals and are happier in groups - You can own only 1 alpaca and it will be happy as a part of a larger herd at WRSR. Allow time to set up your farm and business, plus learn about alpaca care and handling. Meet other alpaca owners and learn from their experience. Professional veterinary care and experienced handlers. Located only 40 minutes from the Univ. of Pennsylvania Veterinary School if emergency / critical care required.